Irregular sleep–wake rhythm is a rare form of circadian rhythm sleep disorder. It is characterized by numerous naps throughout the 24-hour period, no main nighttime sleep episode and irregularity from day to day. Sufferers have no pattern of when they are awake or asleep, may have poor quality sleep, and often may be very sleepy while they are awake. The total time asleep per 24 hours is normal for the person’s age. The disorder is serious—an invisible disability. It can create social, familial, and work problems, making it hard for a person to maintain relationships and responsibilities, and may make a person home-bound and isolated. 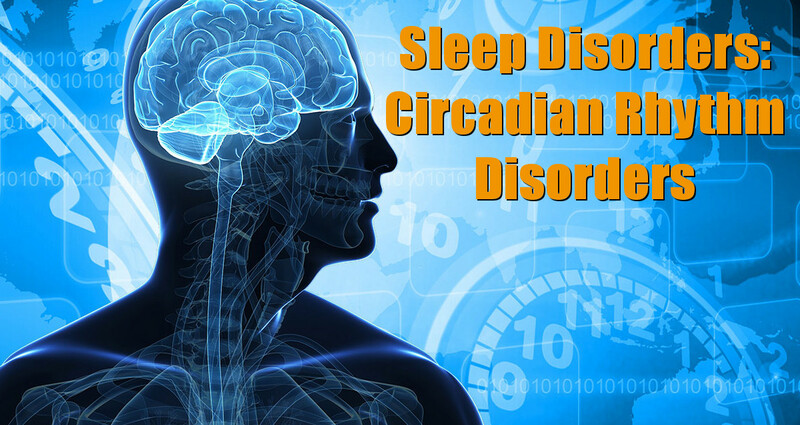 The current formally correct name of the disorder is Circadian Rhythm Sleep Disorder: Irregular Sleep Wake Rhythm Type. This disorder has been referred to by many other terms, including: Irregular Sleep Wake Pattern, irregular sleep wake syndrome, Irregular Sleep Wake Rhythm (ISWRD), Irregular Sleep Wake Cycle, Irregular Sleep Wake Schedule and Irregular Sleep Wake Disorder (ISWD). Sometimes the words sleep and wake are hyphenated (sleep–wake). Sometimes the words are capitalized and sometimes they are not. ISWD has various causes, including neurological disorders such as dementia (particularly Alzheimer’s Disease), brain damage, or mental retardation. It is thought that sufferers have a weak circadian clock. The risk for the disorder increases with age, but only due to increased prevalence of co-morbid medical disorders. Because of the changes in sleep/wake time, and because this is a rare disorder, initially it can seem like another circadian rhythm sleep disorder such as non-24-hour sleep–wake disorder or like insomnia. A physician specializing in sleep medicine may ask patients about their medical history; for example: neurological problems, prescription or non-prescription medications taken, alcohol use, family history, and any other sleep problems. A thorough medical and neurological exam is indicated. The patient will be asked to complete a sleep diary, recording natural sleep and wake up times, over several weeks. Sleep rating with the Epworth Sleepiness Scale may be used. A neurological condition or another medical problem may be suspected, in which case, blood tests, a CT scan or an MRI may be used. An overnight sleep study is usually not needed to detect this disorder, but may be indicated if other sleep disorders, such as sleep apnea and periodic limb movement disorder, seem likely. The overnight sleep study is called polysomnography. It charts brain waves, heart beat, muscle activity, and breathing during sleep. It also records arm and leg movement. It will show if there are other sleep disorders that are causing or increasing the problems with ISWD. Treatment for irregular sleep–wake rhythm tries to enable the body clock in the brain, such that a normal long sleep period at night can be achieved. Education about sleep hygiene is important, and counseling can be helpful. Melatonin, vitamin B12, sleep aids, wake aids, and other medications may also be used. Light during the daytime, and activities occurring at regular times each day, may help to restore a normal rhythm. Spend <7–8 hours in bed. Add environmental cues such as light and social interactions, regular meal times, and regular sleep–wake times. Morning and eve light at 3000 lux for 2 hours have been shown to improve nocturnal sleep in institutionalized patients and reduce agitation in demented patients. Melatonin at desired sleep time. There is currently a great deal of active research on various aspects of circadian rhythm; this often occurs at major universities in conjunction with sleep research clinics at major hospitals. An example is the program with Harvard Medical School and Brigham and Women’s Hospital. This research includes programs that are staffed by researchers from various departments at the university, including psychiatry, neurology, chemistry, biology. Other major sleep research centers are in Tel Aviv in Israel, Munich in Germany and in Japan. A wide variety of sleep disorders are actively being researched. Measuring body temperature or melatonin levels may be used. Some hospitals do blood tests for melatonin levels. Saliva tests for melatonin are now available for online purchase; its metabolites can also be tested in urine. Sack RL, Auckley D, Auger RR, et al. (2007). “Circadian rhythm sleep disorders: part II, advanced sleep phase disorder, delayed sleep phase disorder, free-running disorder, and irregular sleep–wake rhythm. An American Academy of Sleep Medicine review” (PDF: full text). Sleep. 30 (11): 1484–501. PMC 2082099  . PMID 18041481. Zee, Phyllis C.; Michael V. Vitiello (June 2009). “Circadian Rhythm Sleep Disorder: Irregular Sleep Wake Rhythm Type”. Sleep Med Clin. NIH Public Access. 4 (2): 213–218. doi:10.1016/j.jsmc.2009.01.009. PMC 2768129  . PMID 20160950. Dement, William C. (January 22, 1999). “Circadian Rhythm Information”. Retrieved 2010-10-07. “Sleeplessness and Circadian Rhythm Disorder”. WebMDnewsletter. Retrieved 2010-10-07. Harvey, Allison G. (July 2008). “Sleep and Circadian Rhythms in Bipolar Disorder: Seeking Synchrony, Harmony, and Regulation”. The American Journal of Psychiatry. 165 (7): 824. doi:10.1176/appi.ajp.2008.08010098. PMID 18519522. For the latter, each clock is differentially sensitive to zeitgebers. The SCN is very responsive to light, the clock in the liver is very sensitive to food, and clocks in muscle are sensitive to exercise.